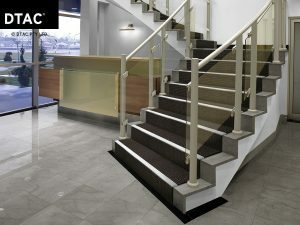 DTAC’s range of stair treads and edging have transformed the manner in which you can detail a stair edge with carpet. Suitable for new works or retro fit, the DTAC edging series provide a practical and aesthetically pleasing approach to prevention and protection. 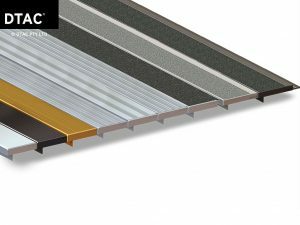 The unique registered design accepts carpet thickness of 6 – 10mm and comes with colour matched escutcheon plates for stairs with exposed ends.